Watch a video of this magnificent vessel below, just click the video loacted in the header of the website. Designer kitchen incorporating modern appliances including large fridge/freezer with ice maker, dishwasher, washing machine and dryer with many other extras. 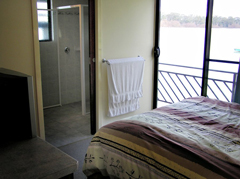 Reverse-cycle air conditioning to each room with separate temperature control. Home theatre package, TV, DVD in each bedroom. 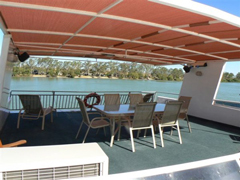 Rear deck and upstairs deck has its own mp3 and cd player entertainment system. 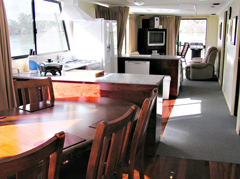 Very large rear deck with Spa, BBQ, Swim Deck, Ski Boat hitch and outdoor setting. 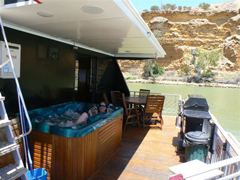 If you are looking for a houseboat to rent on the Murray River in South Australia then there is no other choice than, Takeme2 Houseboats. 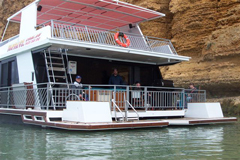 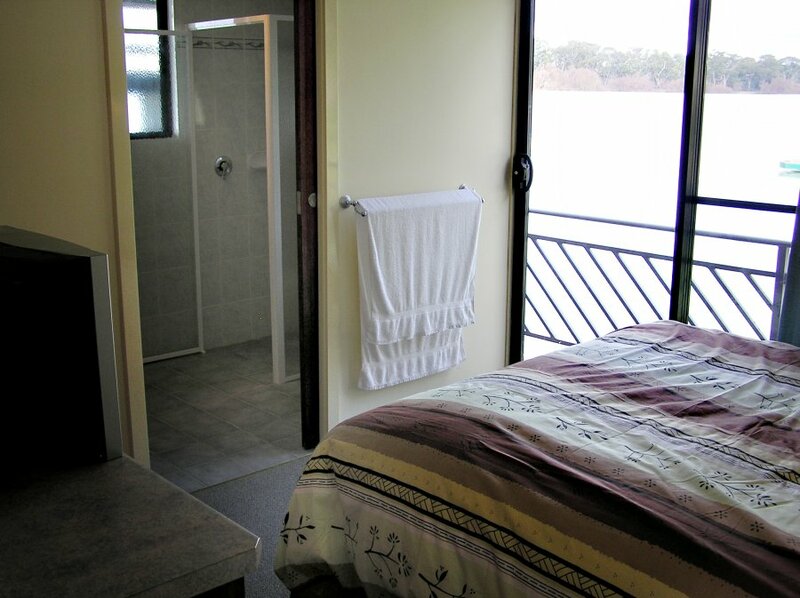 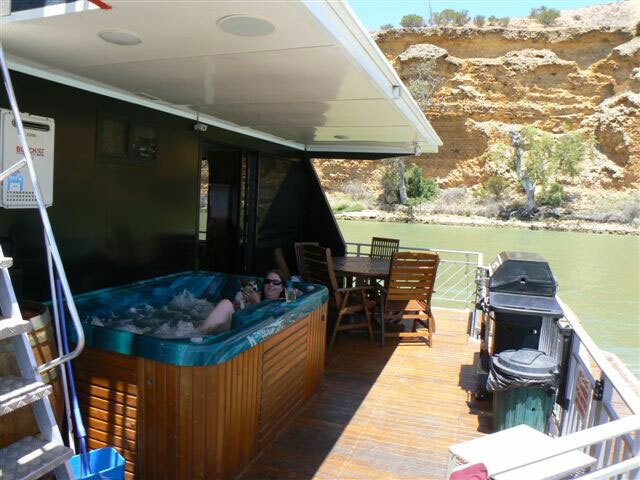 This houseboat, based in Mannum South Australia, is offered for hire either mid-week, weekends or peak periods, including Easter & Christmas, so you are sure to find the right time to have a houseboat holiday in South Australia. 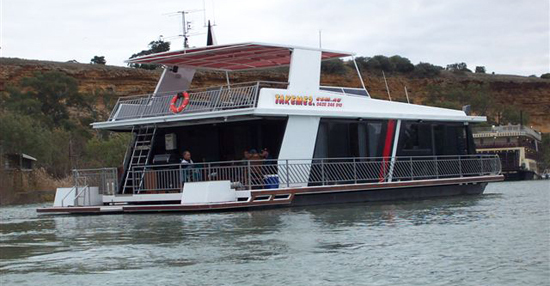 You can hire the boat for as little as 3 days or perhaps take your time relaxing for a week, the choice is up to you. 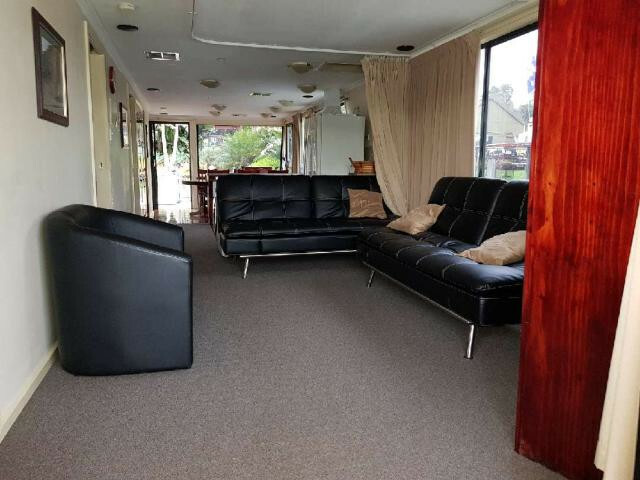 If you would like to have a virtual tour of the Houseboat, click on the video file in the header at the top of the website. 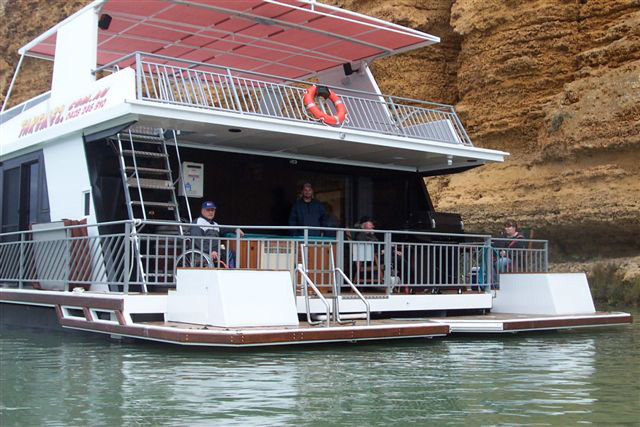 This houseboat is especially designed to be wheel chair friendly.